People go missing every day, and because of the complexity of a missing persons’ case under the eyes of the law sometimes it may be necessary to hire an independent missing persons investigator to get the job done. At times an independent missing persons investigator can step in on a case when law enforcement can help no further, since missing persons’ cases are often considered ‘cold’ by and sometimes not even classified as ‘missing’ by the police. According to Todd Matthews from the National Missing and Unidentified Persons Systems (NamUs), a national database for missing persons, on average, about 90,000 persons are missing in the United States of America at any given time. With the odds of one of your loved ones being in that number it’s important to know how to hire a missing persons investigator to assist in their safe return home. Luckily, if you are already in such an unfortunate situation yourself you can use this guide to make the right choice and hire a reliable independent missing persons investigator. Chances are your first instinct may be to check the telephone directory. However, this may not be a good idea as there are a few distinct traits that a missing persons investigator must have, which you wouldn’t be able to tell just by looking at an ad. We suggest you look into a few other places instead, such as a clerk at your county’s police department, speaking with a criminal defense lawyer, the duty agency at your local FBI, or simply asking a friend or family member for a recommendation. Now, we mentioned that there are certain traits that a reliable independent missing persons investigator should have. 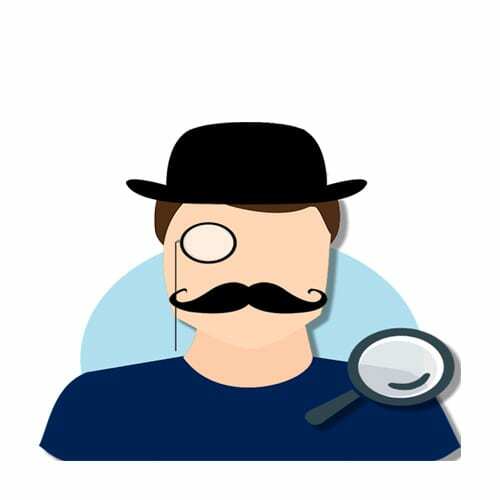 Here is a quick breakdown of some of the most important traits that you should look out for when doing your research and interviewing prospective investigators. Because of the varying laws in different states, it’s also important to know whether or not the investigator is licensed since some states don’t require an independent missing persons investigator to be licensed anyone could claim to be an investigator without actually being legitimate. Ensure that the person you are researching has a licence as it is further proof of their credibility. Another requirement is that an investigators’ background is clean, meaning that they have no criminal record, there hasn’t been any disciplinary actions filed against them, nor have they had any complaints with previous clients. This is important because most investigators would want to honor their good reputation and work extra hard on your case to make sure that their record remains intact. Working as an independent missing persons investigator requires a lot of energy, it involves dealing with panicky relatives and emotional loved ones. Because of this, the job can be very exhausting and must be done in a professional environment for maximum efficiency. If an investigator is working out of his basement it’s hardly likely he can manage the stress of such a task. It’s also safe to assume that he or she has the necessary resources to handle the job. If the investigator was serious about finding missing persons they would have rented an office. We also recommend that the investigator who you choose to hire has a history of solved cases and a good reputation in the field, as this could increase the chances of your case being solved since. There is a flip side to this, however, as there are some investigators who won’t take a case because just like the police they believe it’s a ‘cold’ one. If possible, you should seek references and testimonials from other families and non-profit organizations for proof of their achievements. What’s even better is if one or more of their solved cases has made it to the news, then you’ll know that they’re serious about their job. A great way to tell if you have the right investigator is by their personality traits. Not only should a good independent missing persons investigator have the knowledge and know-how of the trade, but he or she should also have an excellent personality. Things to look out for are trustworthiness, friendliness, honesty, creativity, passion, and persistence. There is no point in hiring a slimy investigator or one who doesn’t put his all into the job because then you’ll end up paying someone who helps you less than the police when often times the reason why you had to turn to an investigator was because the case was out of the authorities’ hands. Some of these traits can be picked up during your interview with the investigator, while others would only be apparent by speaking with their previous clients or the person/s who recommended them to you. Finally, an independent missing persons investigator must show certain professional habits in order to be considered reliable. Simple things like returning calls promptly and updating you on the progress of the investigation is a just a couple things that are expected from a professional independent missing persons investigator. Again, you could save yourself the trouble by asking these questions to the person who referred the investigator to you instead of finding out afterward that their working habits are unprofessional. Another important thing to focus on is how specific the investigator is when it comes to billing. A trustworthy investigator will always make sure that a contract is drafted and that there is full transparency when discussing payment. Be sure to have a lawyer look over the contract if you must and make sure that there is nothing questionable in the fine print. Hiring an independent missing persons investigator is an important decision, which is why it’s important that you get the right person for the job. If you’ve ever lost someone you loved then you know that emotional distress can be overwhelming. With these tips and suggestions, you should have no trouble making the correct choice and hiring an investigator who will ease some of your concerns. Have you ever hired a missing persons investigator before? Do you still have any questions? Let us know in the comments below and we’ll be sure to get back to you.